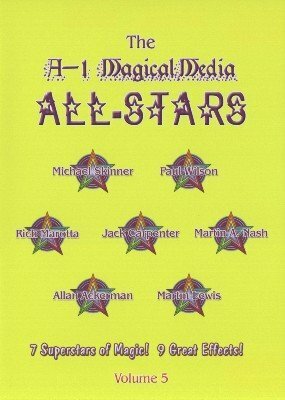 Jack Carpenter - Three-In-One: a selection is revealed in a startlingly magical manner. Martin A. Nash - A Hard Ace To Follow: a real card miracle from the Charming Cheat. Rich Marotta - Fair Is Fair: a great walk-around card effct. Martin Lewis - Sucker Silks: perhaps the highlight of the DVD. Learn every line and move from Martin's hilarious routine for the color changing silks. A true professional showpiece. Allan Ackerman - The Hotel Mystery: an expert's touches on a classic card routine. Great magic with an engaging story.